It can be really hard to be a child star because when that awkward phase hits, everyone gets to see it. Many of these child stars used their awkward phases to start their careers, others made one despite it, and just one might have had to create an awkward phase. All in all, you won’t believe your eyes with these before and after photos. 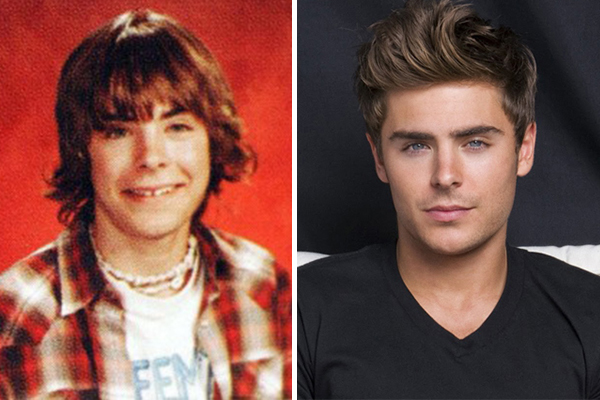 When he first hit the scene as the lead in High School Musical he had plenty of pre-teen girls singing his praises. But even Zac admits that before he got the role he was more the awkward kid in school than the heartthrob. Well it is clear that the tables have completely turned and it’s not just teens that find him attractive now because now he’s got the whole package.